The Government had taken over the running of the mines and mineral resources in February 1917 due to the War. The mining industry passed into the hands of the Board of Trade from the Home Office by a regulation made under the Defence of the Realm Act. Managers and owners were subject to the directions of a Government Official, the Coal Controller, who was assisted by an advisory committee of 7 coal owners and 7 workers’ representatives. The Government took 80% of the excess profits, but the balance was now divided between the Coal Controller 15%, and the relevant company 5%. There was a further increase of the War bonus on current earnings of 4.2% in February 1917. In September 1917 there was a flat rate increase of 1s 6d (7½p) a day for everyone over 16, and 9d (3¾p) a day for boys. There were 4 pits in the area producing over 1 million tons a year, making a profit of 3s (15p) a ton, 8 pits producing over ½ a million tons making an average profit of 2s 10d (14p) a ton and 14 pits between 100,000 and ½ a million tons making 2s 5d (12p) a ton profit. The Coal Controller’s share went into a pool from which deficiency payments were made to owners who failed to achieve profits. 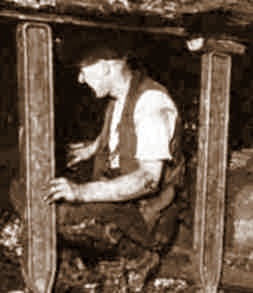 The Coal Controller also influenced all wage negotiations during the period to 31st March 1921. In January 1917 a boy of 15 was fined 7/6 (37.5p) for leaving a door open underground affecting the ventilation current. Babbington Colliery Company fined a ganger 10/- (50p) for causing the death of a pit pony when it was run over by tubs on a drift incline. In April 1917 the Government released 20,000 men from mines throughout the country. The Council of Derbyshire Miners’ Association suspended absentee committees; however they would be re-established in June 1918. Norman D Todd from Blackwell A & B Winning Collieries appointed to Teversal Collieries (Stanton Iron Works Co.) when Jonathan Piggford retired at the end of May 1917. T. H. Elliott, the manager at Langwith Colliery was appointed to Blackwell Collieries in his stead. In June 1917 T. Warton, from Dinnington, to manager of Glapwall, he was succeeded at Langwith by the son of Warton, who was the manager of Glapwall. By 1917 all the underground haulage and pumping had been electrified at Silver Hill and Teversall (Stanton Ironworks Co). The existing endless rope haulage system was steam or compressed air driven and had now extended some 2 miles. A new underground price list was issued in September, following a strike threat at the Stanton Ironworks pits. The price of beer in Nottingham was fixed at a minimum of 5d (2p) in July to come into effect on the 1st August 1917. 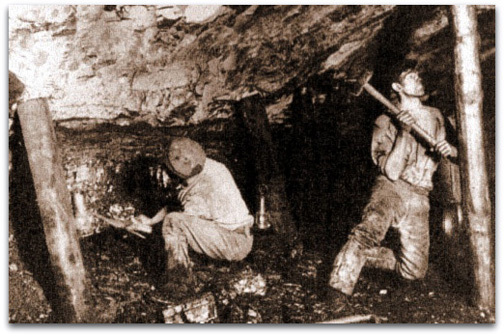 Many miners slaked their thirst by downing several pints after a heavy days work. On 26th September 1916 there had been a German Zeppelin raid on Sheffield and on 19th October 1917 at Kiveton Park (Derbyshire) work was halted as a Zeppelin was hovering over the colliery, however no damage was done. Again this was thought to be a practice run. 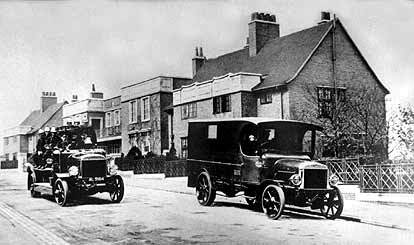 There was a strike at Sutton (Nottinghamshire) in 1917 after the owners had wanted to employ non-union labour. To end the strike in November, the Blackwell Colliery Co agreed to refuse employment to non-unionists. Coal cutters were introduced at Kirkby Summit (Nottinghamshire) (Butterley Co), but shaker conveyors were not introduced until 1918. Steel props were also introduced and there was a strike threat by the colliers who reckoned that they were not as safe as wood! The colliers were used to the timber supports creaking when weight came on and the new supports did not give any warning of this and sometimes flew out under pressure causing serious accidents. 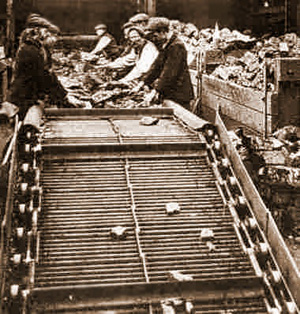 Rubber conveyors were introduced much later in 1924. The first screening plant had been introduced at No2 pit top earlier to select coal by different sizes. On Wednesday 3rd July 1917, on the surface, a stack of pit props caught fire, rendering them unusable for supports. There had been a huge fire in the lamp room in January when 700 lamps and 2 cleaning machines were destroyed. Lamps had to be borrowed from neighbouring collieries. The New Hucknall Colliery Co was one of the first companies to issue electric battery hand lamps to the workforce, and all the miners had one by 1919. The company owned New Hucknall, Bentinck and Welbeck collieries in Nottinghamshire. 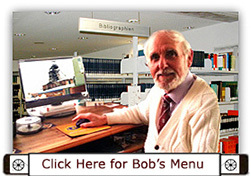 The owners had agreed to install efficient lights due to the high incidence of nystagmus. There was a general complaint about double gauze lamps required by the Home Office. The shortage of timber for roof supports imported from Scandinavian countries was due to ships being sunk by German raiders or submarines during the War. This led to the creation of the Forestry Commission that would ensure home grown timber in future. Old Winterbank colliery (Derbyshire) (South Normanton Colliery Co Ltd), with the wooden headstocks, became a pumping station, 2 men underground and 2 on the surface. Prosecuted By Grassmoor Colliery Co. In August 1917 James E Mitchell, Albert Brown and Leonard Wheeldon were each fined £3 for breaking 3 safety lamps in the pit. Ilkeston Rescue Station was the third one to be completed and was opened in August 1917. The other 2 were at Mansfield Woodhouse and Chesterfield. In August 1917 Mickley Colliery Co. went into liquidation. Worthington (S Derbyshire) new pit sunk to Main seam at 43 yards (39m). Old Whittington Silkstone colliery Blackshale, ED Swanwick Esq royalty, worked to outcrop, full dip 1in4, 27 Jul 1917, Surveyor Arthur H Booth (300). At Silver Hill the Silkstone seam with dips of 1in4 to 1in5 was closed by the Stanton Ironworks Co as unprofitable in September, section - blue bind roof, top coal 10” (0.25m), middle coal 9” (0.23m), dirt 2” (0.05m), bottom coal 1’ 5” (0.43m), clunch floor, total 3’ 2” (0.97m), Surveyor Richard Wardle (917 service certificate). Birchwood (The Butterley Co) Low Main exhausted 29 May 1917, section 1’ 3” (0.38m) Jerries, 3” (0.08m) hard list, 1’ 6” (0.46m) Low Main, 4” (0.10m) hard lists, 2” (0.05m) minge, Total 3’ 11” (1.19m). During 1917 a Mines Rescue Apparatus Research Committee was set up. The North Wingfield Colliery Co bought out Alma No1, No2, and No3 colliery owned by G Chambers. Sale of Mickley Colliery (Dronfield) in Nov 1917 raised £283 for the effects. The Colliery had lost between £15,000 - £20,000. There had been a general deterioration of conditions in the local pits during the War due to the pits running at reduced manpower. Emphasis was on coal turning and bye work was pushed to the back of the queue. Woodside, John Mousely (17) fall of roof 30 Aug 1917.